Hi! 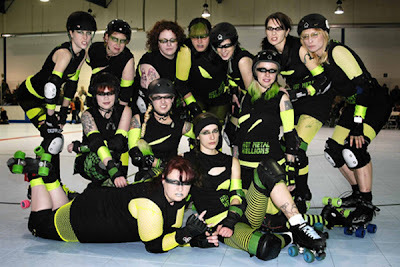 I'm Crystal aka BB Basher, skater for the Hellions of the Steel City Derby Demons and proud wearer of We Love Colors. Actually, almost the whole team wears We Love Colors. It's great how everything matches and makes our teams look great, plus we can all wear something a little different but the color is still the same.